Continuing on the windows trend, I had noticed something interesting about the windows in my assisted living this past week. 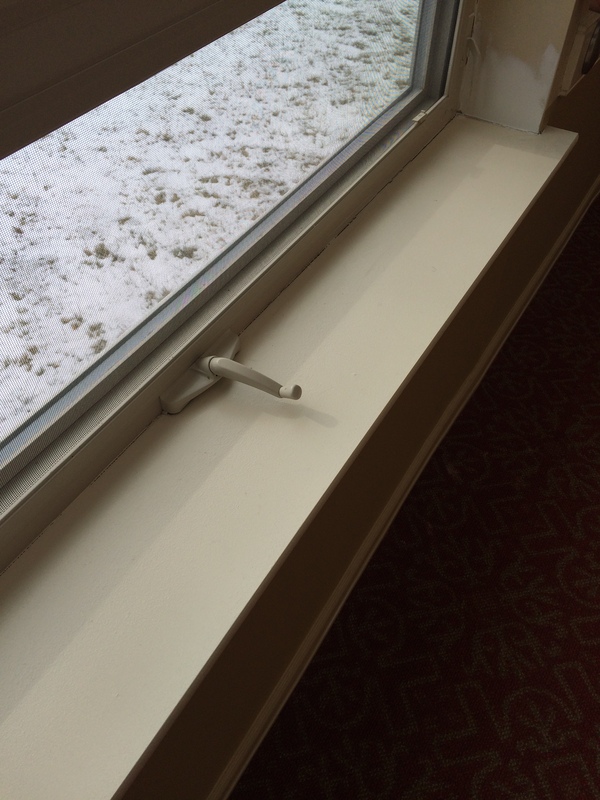 They are fond of using the crank style windows, except the ones in the main hallway of the building have the crank about 1/4″ from the windowsill. It is very difficult to get ahold of the crank in order to open the window because there is simply not enough space. The cranks in the hallway are also hard to turn, probably because no one actually can. I have never seen those windows open. People with arthritis in their hands or shoulders would have trouble with the crank. In addition, someone with problems with coordination would have trouble acquiring a grasp and turning it since with such a small space between the crank and the windowsill, there is little margin for error. What do others suggest in order to fix this situation?